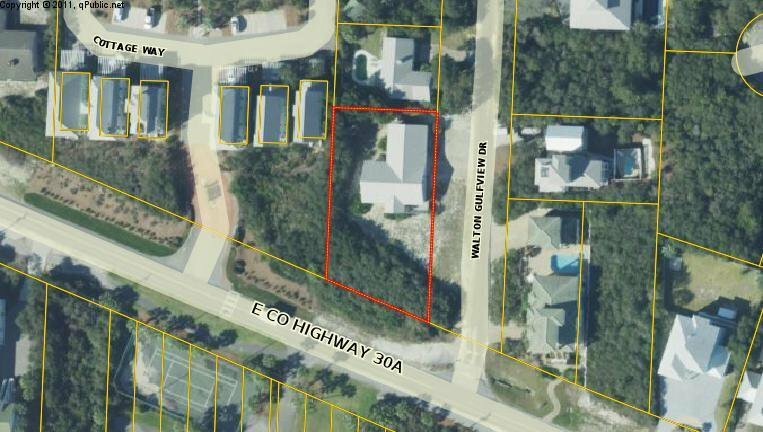 Large lot fronting 30A ( 92'X175') 0.369 of an acre on the corner of 30A and Walton Gulfview Dr. Quarter of a mile west of Camp Creek Parkway. There is a 1977 single story home, 2 car garage with a guest house on the property. It would be a great property to update and make it your own, or the property is large enough to build an estate home, pool and guest house. Home would have fantastic Gulf views. 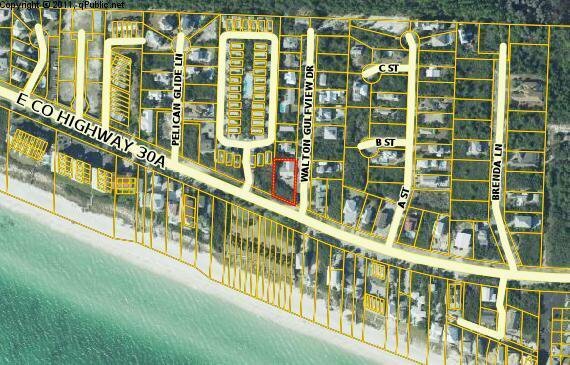 Community does have deeded beach access very close to this property. Pictures and drone shots coming soon. Listing courtesy of The Premier Property Group. Selling Office: Scenic Sotheby's Intl Realty.